This post, meant to be published on May 16th, never got posted on the 16th Day of APA Heritage Month. I have since read (listened to) the book and edited slightly my responses to Shliesman’s review. Since this is a book eligible for Odyssey Award and I am currently serving on the committee, I am not going to discuss the quality of the writing, nor the technical merits/flaws, etc. of the recording. This post is about a bigger issue, with the review as a springboard. 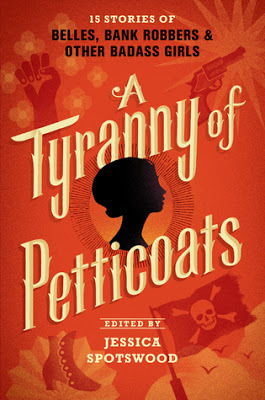 Megan Schliesman, in her Reviewing While White: A Tyranny of Petticoats, points out that there are fifteen stories in this short story collection and eight of the stories feature characters of color and one of them is about a Chinese American. The more than a dozen contributors include four women of color: three of them are of Asian Pacific heritage. Marie Lu wrote a story about an Inuit girl in Alaska. Caroline Tung Richmond and Y.S. Lee both wrote stories about white protagonists and the one story about a Chinese American girl is written by a white author. This is not surprising since Asian American children’s and YA authors have not been known to write only about Asian American experiences. Marie Lu’s Legend and the Young Elites trilogies all feature predominantly non-Asian characters. And both Y.S. Lee and Caroline Tung Richmond write about European girls. Surely there are plenty of “badass girls” who can be imagined throughout and across U.S. history and authentically grounded in a variety of cultures without resorting to the fantastic. What am I to make of these stories? Are they grounded in any authentic cultural beliefs, or simply spun from their authors’ imaginations? The only thing I can offer here is based on my own singular experience as a Chinese girl growing up in Taiwan. And from there, perhaps readers of A Tyranny of Petticoats can make up their own minds about whether this Chinese American story’s allusion to ghosts/spirits seems authentic. Will I take offense if someone out of my culture takes these elements and insert them clumsily and stridently into a tale without truly understanding where all these beliefs and sensibilities came from? Probably. I imagine that it is not easy for an “outsider” to grasp or present accurately my strong fear of ghosts or my sense of comfort when smelling incense – both have roots in my own self and also my connection to the tradition passed down through many thousands of years. This probably explains my inability to finish a well received book such as The Walled City by Ryan Graudin — I simply couldn’t get past her descriptions of the Chinese Constellations and how they are used in her tale and found her supposedly in-depth research, from afar without actually living through or experiencing the culture, lacking. This is also perhaps why I have yet to be able to read past the first segment of The Nameless City by Faith Erin Hicks — when the location in this Graphic Novel is so glaringly a superficial copy of a Chinese traditional city. That said, is including ghosts/spirits in a story about a Chinese American girl automatically the mark of “exoticism” or “keeping the culture in the backwater days”? I’d say no — not automatically at all. It all depends on how the tale is told and the world is built and whether there is a true understanding of from where such elements came. Just because I, a 50 something Chinese/Taiwanese woman feels a certain way about a text featuring “my culture” does not mean that mine is THE way or THE ONLY way that such text would be or should be viewed by other Chinese/Taiwanese or Chinese/Taiwanese American readers. I hope that we can all accept that, since People are complex and Cultures and Histories are complex, Books about People and Cultures the Discussions about such Books are also unavoidably complex. We do have to keep digging and thinking and sometimes even changing our minds. It is the last day of the 2016 APA Heritage Month — but it will not be the last time I write about media representation of Asian Americans or about the importance of respect, integrity, diligence, compassion, empathy, knowledge, open-mindedness, inclusion, and collaboration in regards to improving accurate and nuanced representations. 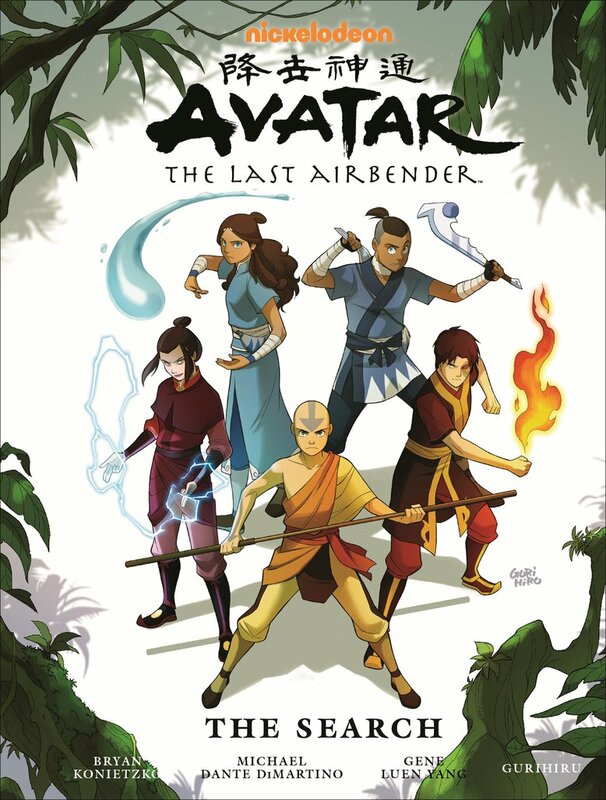 Today, I want play an upbeat note and share my adoration to the wonderful Avatar: The Last Airbender series penned by Gene Luen Yang. Currently there are four completed stories, each told in three paperback volumes and also collected in a library binding oversize single volume. They are: The Promise, The Search, The Rift, and Smoke and Shadow. Of course, for fans of the Nickelodeon TV show like me, these stories are like lush oases in the parched void left by the ending of the original series. 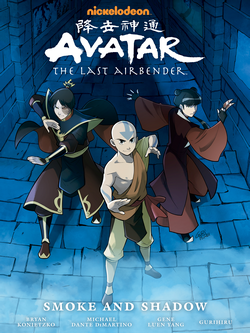 We get to see Aang and his gang grow up a bit, deal with more complex issues, and find out answers to some questions left unresolved by the show! 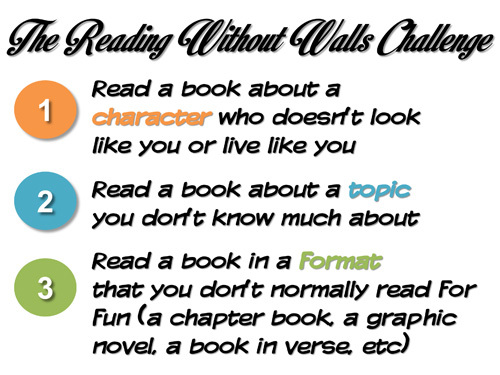 However, I have also observed many young readers encounter these as stand alone series and thoroughly enjoy the adventures, character relationships, humor, and the conflicts. 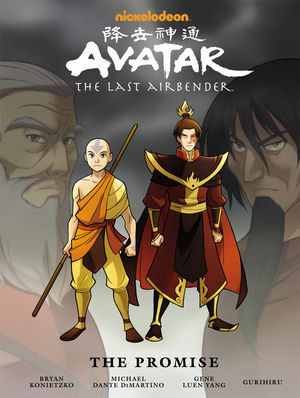 This is a series that could easily err on the side of “appropriation” because it definitely mimicked the Japanese anime style and the several nations’ customs and philosophies or even “national traits” are loosely and (one might argue) stereotypically based on certain Asian cultures — another potentially incendiary aspect of the show. Instead, it is accepted and even embraced as appreciation and celebration by viewers from all racial backgrounds, including many Asian Americans — one of the super fans is Gene Luen Yang. 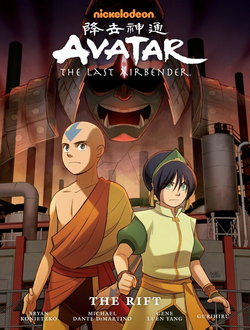 Many factors contributed to why the show worked in building and not destroying positive representations: characters are deftly portrayed as individuals, whether they’re from a specific culture or not, the show creators are always careful when cultural details are represented — all Chinese characters and sentences are correctly written out and composed, and the relationships between characters and nations are complex and nuanced. Not to mention the artistic rendering of the images and the exciting plot progression through the 61 episodes! The book series written (not illustrated) by Gene Yang, published by Dark Horse, are equally, if not more, complex, thrilling, and satisfying! Please read them, share them with people in your life, young or not so young, and celebrate everything that works well in these volumes! For those interested, there are some great questions and answers about the creation of the TV show and the outcry against the casting of the 2009 life action movie based on the show at racebending.com. Today is for celebration! 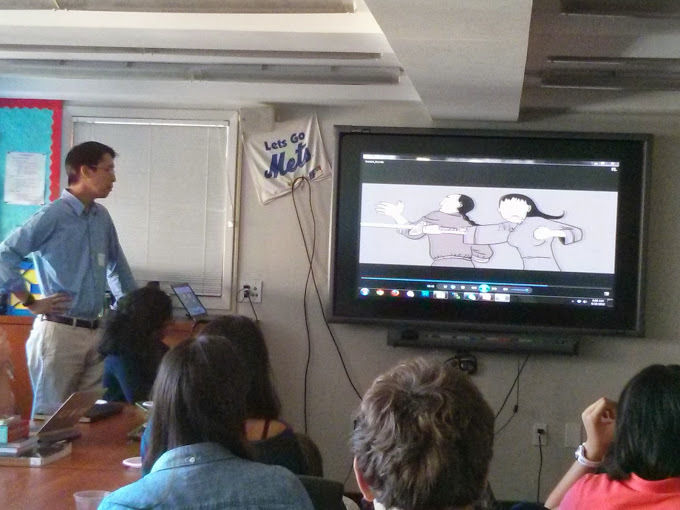 Celebrating one of my favorite Asian American authors – Gene Luen Yang. Gene is generous. Gene is funny. Gene is wise. Gene is brave. 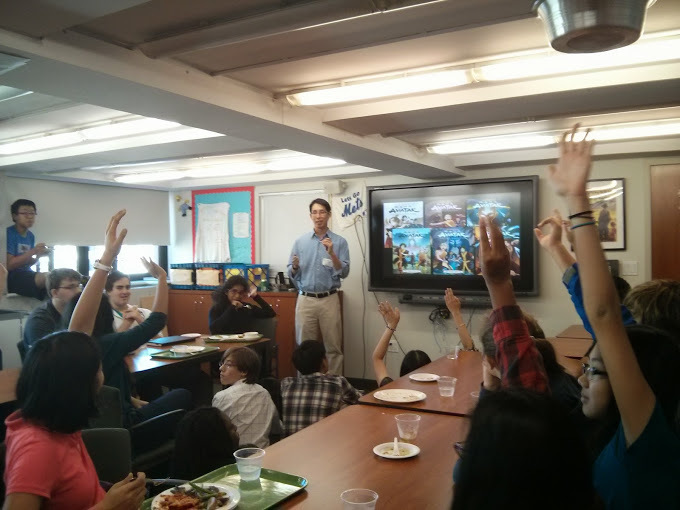 In 2013, he came to my school and met with high school students in the Asian Cultures and Science Fiction/Fantasy clubs to chat about graphic novels, Boxers & Saints, Avatar: The Last Airbender, and growing up as an Asian American nerd and answer many many questions — all on his own time, without charge! Addendum: A friend of mine pointed out to me that such “free” visits are not the norm for most libraries or authors — my school is in NYC where Gene’s publisher is located, this was part of his promotional tour for Boxers & Saints, and I and the school I work for are frequently tapped by the NYC publishers to host informal author events like this. This is yet another case of how one person’s view can be so influenced by the circumstances and thus limited without the reminder from someone else who has the view from a different vantage point. That said, Gene’s generosity is not limited to “free visits” but is demonstrated his willingness to engage the students and freely shared thoughts and views. I had the great pleasure to listen to Gene talking about Graphic Novels on a panel at last year’s USBBY Conference. He used humor to drive home some serious considerations in a way that the audience would easily accept. He spoke the hard truth publicly without skirting around the issues. One such memorable speech was delivered at the National Book Festival gala in September 2014. You can read the whole transcript at The Washington Post. These words were not only wise, almost prophetic, they should be heeded ever more now that so many of us get our news and views from extremely short, often volatile, and sometimes sensationalized sound bites littering the edge-less world of the Internet. But I have noticed an undercurrent of fear in many of our discussions. We’re afraid of writing characters different from ourselves because we’re afraid of getting it wrong. We’re afraid of what the Internet might say. This fear can be a good thing if it drives us to do our homework, to be meticulous in our cultural research. But this fear crosses the line when we become so intimidated that we quietly make choices against stepping out of our own identities. After all, our job as writers is to step out of ourselves, and to encourage our readers to do the same. First, I think this call for “doing homework” should not be limited to authors, illustrators, or editors and publishers. The demand of meticulous cultural research must extend to all the critics of books — we must also do our homework before delivering verdicts to praise or condemn a literary work, especially when large swatches of the text contain cultural allusions unfamiliar to us. Second, I think it is crucial for those who are promoting works about and by diverse creators to remember that simply “of a culture” does not guarantee any book creator having understanding of the multiplicity of the entire history or full scope of that specific culture. Even those writing “within” a culture must do their homework! Third, although book creators must heed Gene’s call for NOT fearing of where their creative hearts tell them to go, I feel compelled to call on critics and advocates to educate ourselves on informative and productive ways to critique literature so that we may uplift the whole field. We must figure out ways to turn our initial anger and frustration into useful and illuminating insights and advices to help improve representation and authenticity in all future books for young people. Starting today, I’ll post here and on other social media some articles and perhaps my own thoughts on media representations of Asian Pacific Americans in the United States. Here Media include movies, tv shows, books, and games. Today’s offering from the New York Times, an article by Keith Chow, first published on April 22, 2016. 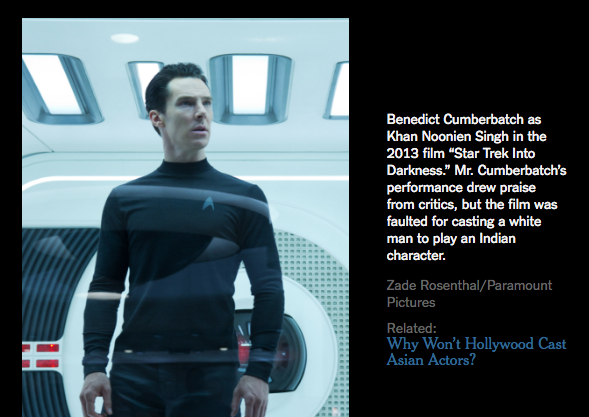 Why Won’t Hollywood Cast Asian Actors? Even a modest hit like the “Harold and Kumar” trilogy, starring John Cho and Kal Penn, was able to quadruple its production budget after box office and home media sales. Meanwhile, films with white stars fail at the box office all the time. Chris Hemsworth, who stars in this weekend’s “Huntsman” sequel, has had many more box office flops than successes, yet he is considered a bankable movie star. Such facts reveal Hollywood’s dirty little secret. Economics has nothing to do with racist casting policies. Films in which the leads have been whitewashed have all failed mightily at the box office. Inserting white leads had no demonstrable effect on the numbers. So why is that still conventional thinking in Hollywood? 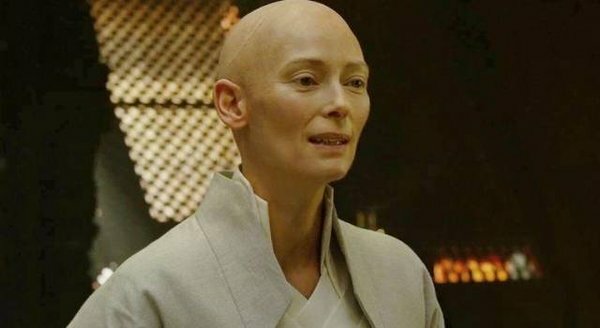 And they didn’t even touch on Tilda Swinton cast as a Tibetan (now Indian?) 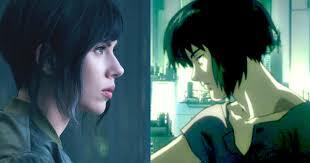 Mystic (The Ancient One) in Marvel’s upcoming Doctor Strange or Scarlett Johansson as Mokoto Kusanagi in the American Remake of a Japanese SciFi film, Ghost in the Shell.